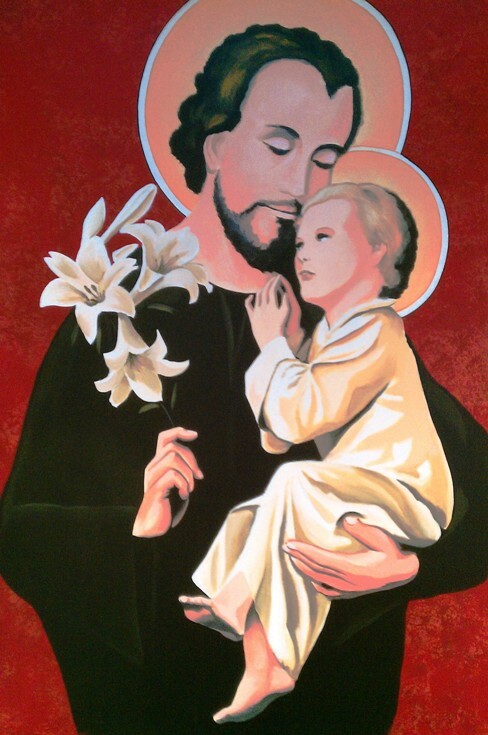 This mural was painted in a Roman Catholic Primary School in Accrington, Lancashire. 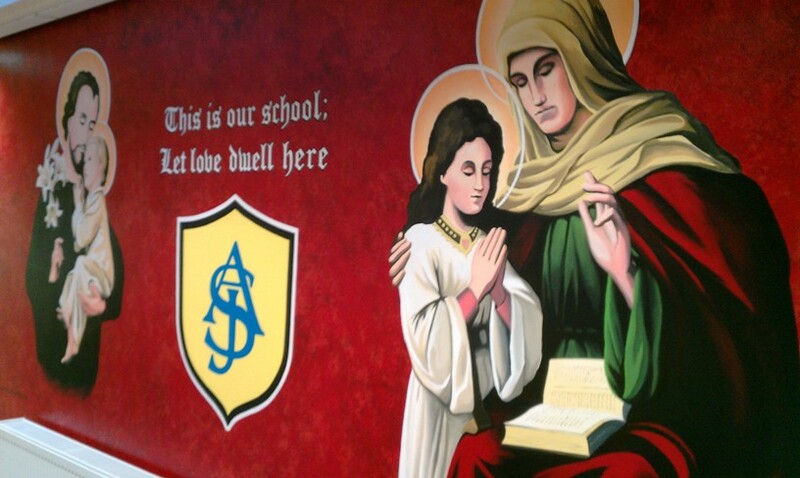 The school was named after its two patron saints so the mural had to feature both of them with the school badge and motto,'This is our school; Let love dwell here.' 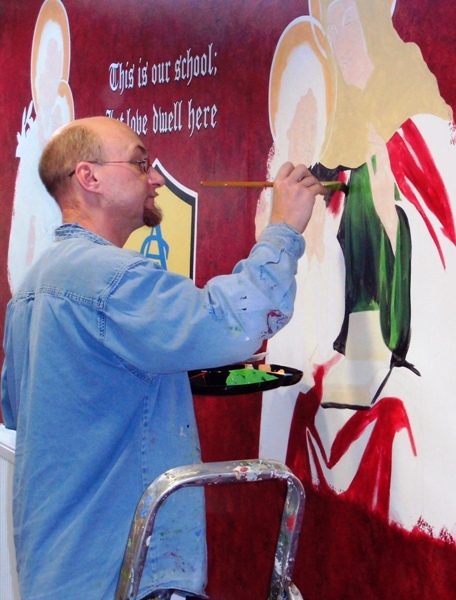 I painted a sumptuous Burgundy red as a base for the background to which I added a mottled sponge effect for interest. It was completed in a week and finished with anti-graffiti varnish. 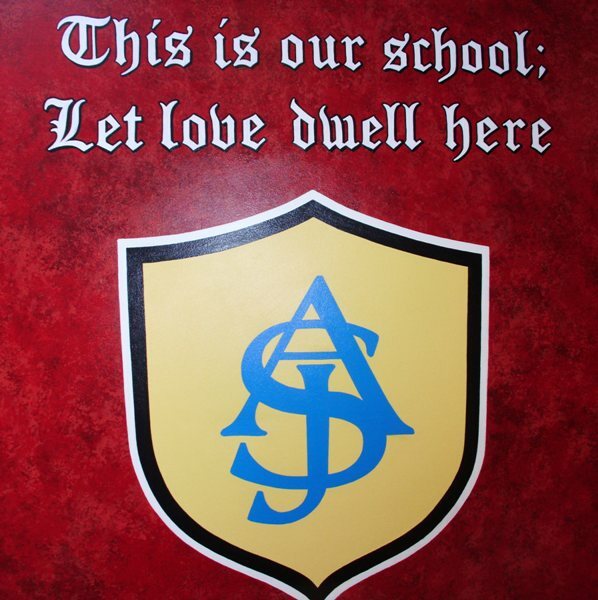 The children and staff at the school marvelled at how the mural developed over the week and on the last day I sat in on assembly for a questions and answers session. 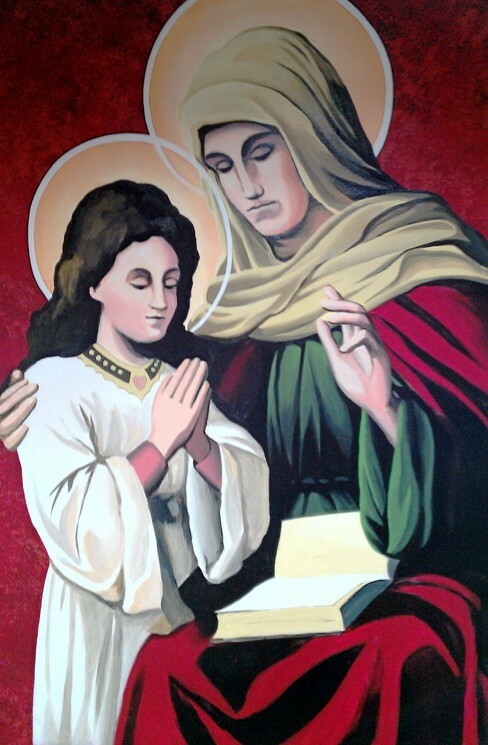 The head-mistress said the mural has really provided a new lease of life in many ways.